From Goodreads ~ This collection of the most epic, hilarious, and strange Bill Murray stories, many of which have never before been reported, spotlights the star s extraordinary ability to infuse the everyday with surprise, absurdity, and wonder. New York Times bestselling author Gavin Edwards, like the rest of us, has always been fascinated with Bill Murray in particular the beloved actor's adventures off-screen, which rival his filmography for sheer entertainment value. Edwards traveled to the places where Murray has lived, worked and partied, in search of the most outrageous and hilarious Bill Murray stories from the past four decades, many of which have never before been reported. Bill once paid a child five dollars to ride his bike into a swimming pool. The star convinced Harvard's JV women s basketball team to play with him in a private game of hoops. 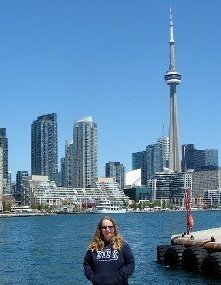 Many of these surreal encounters ended with Bill whispering, "No one will ever believe you" into a stranger's ear. 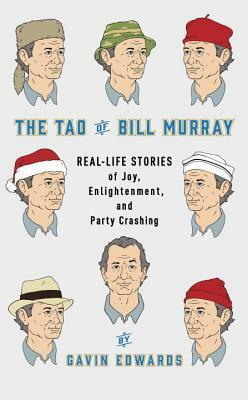 But "The Tao of Bill Murray" is more than just a collection of wacky anecdotes. This volume puts the actor's public clowning into a larger context, as Edwards distills Murray's unique way of being into a set of guiding principles. A sideways mix of comedy and philosophy, full of photo bombs, late-night party crashes and movie-set antics, this is the perfect book for anyone who calls themselves a Bill Murray fan which is to say, everyone. I like Bill Murray and the movies I've seen him in and that's why this book caught my eye. The book starts off with Bill's background ... where he's from, his family, etc. Then the author describes the ten principles of Bill such as objects are opportunities, invite yourself to a party and know your pleasures and their parameters. With each principle there are stories about Bill, stories he has told himself and stories others have told about him. He sounds like a free soul ... he wanders off and has adventures, he doesn't have an agent so you have to call a toll-free number if you want to reach him (he may or may not get back to you), he has mail sent to various places around the U.S., etc. The book finishes with 59 films of Bill Murray ... how they did, why he took the role and what was going on with him at the time. I like the writing style. I found it amusing and interesting. As a head's up, there is swearing. Yes, it sounds like Bill can be difficult but I think he would be a lot of fun to be around.